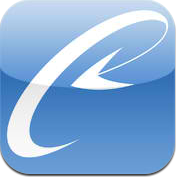 Im Rahmen unserer Vorlesung „Mobile Applications 2013“ ist die App Realfeedback entstanden. Damit ist es möglich das Audience Response System der TU Graz Realfeedback direkt mit einer native App am iPhone / iPad zu verwenden. RealFeedback makes it easy to ask questions and get answers, like polling your audience during a lecture. The creator makes a project, adds some questions and shares the project ID with the participants. Each question can be activated individually. As soon as a question is active, participants can answer it until the creator closes it. Then the results are shown to the creator and all participants.